Donavin Johnson died after he was shot in the area of South 28th Avenue and Jackson Street on July 12. Authorities have announced a $3,000 reward for information leading to the arrest of the person responsible for killing a 20-year-old in Hollywood last July. The victim in the shooting, identified as Donavin Johnson, died at Memorial Regional Hospital, where he had been taken in critical condition, officials said. Hollywood detectives had released surveillance video of a vehicle that was seen in the area of South 28th Avenue and Jackson Street during the July 12 shooting. The surveillance video shows a four-door sedan with black molding along the doors, which detectives are asking the public to identify. 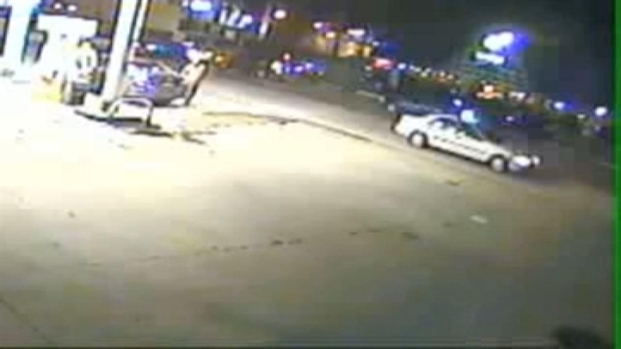 Hollywood detectives have released video of a shooting that happened on July 12. The video shows a sedan with black molding along the doors. Anyone with information is asked to call Crime Stoppers at 954-493-8477. Police are investigating a pair of shootings in Hollywood that left one man dead and a teen critically injured. Neighbor Soojie Mohan and Hollywood Police spokesman Sgt. Pablo Vanegas comment.